Irish supergroup Westlife have unveiled plans for a new Greatest Hits collection, due for release on November 21st. The album will hit stores in both a standard format and a deluxe edition with bonus video footage. The tracklisting is yet to be confirmed, but both versions will come with brand new tracks. 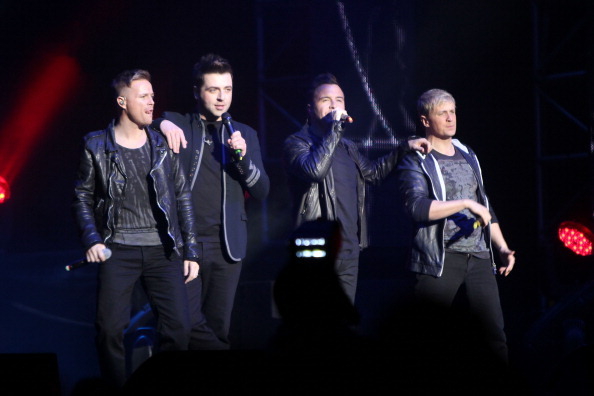 Westlife have been in business for an incredible14 years, selling 44 million records worldwide and becoming the biggest-selling international band of the last decade in the UK. Their tally of 14 number one singles is beaten only by Elvis Presley and The Beatles, and they were certified the biggest arena act of all time in the UK after performing at Wembley Arena 25 times. They released their first retrospective LP, 'Unbreakable', in 2002. What classic Westlife ballads are you hoping to see on the album?